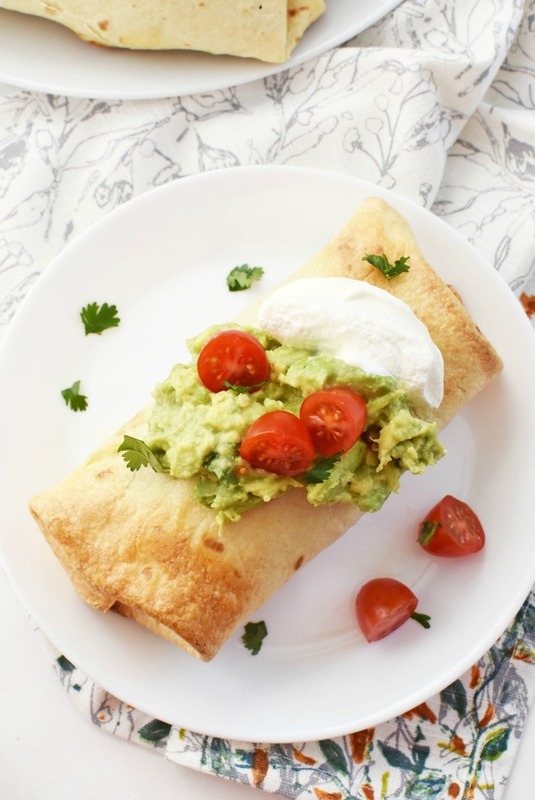 Baked chimichangas with fish is a recipe that is perfect for lunch or dinner. 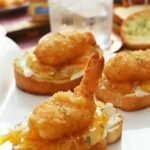 This meal features beer battered fish, beans, cheeses, & more. This post is sponsored by Gorton’s Seafood. Chimichangas are one of my of favorite Mexican dishes to eat at our local authentic eatery. I typically get shrimp chimichangas that are deep fried to perfection and served with fresh sides like guacamole, salsa, and sour cream. As many of you know, I do not deep fry foods at home and reserve them for take-out or date nights. But, since I do love chimichangas so much, I was inspired to make these Oven-Baked Chimichangas with Fish. A Chimichanga is essentially a burrito that has been deep fried in oil or lard. 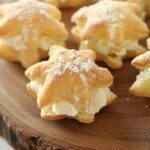 They typically are filled with shredded chicken, beef, or shrimp. Inside they have beans, cheese, and veggies. 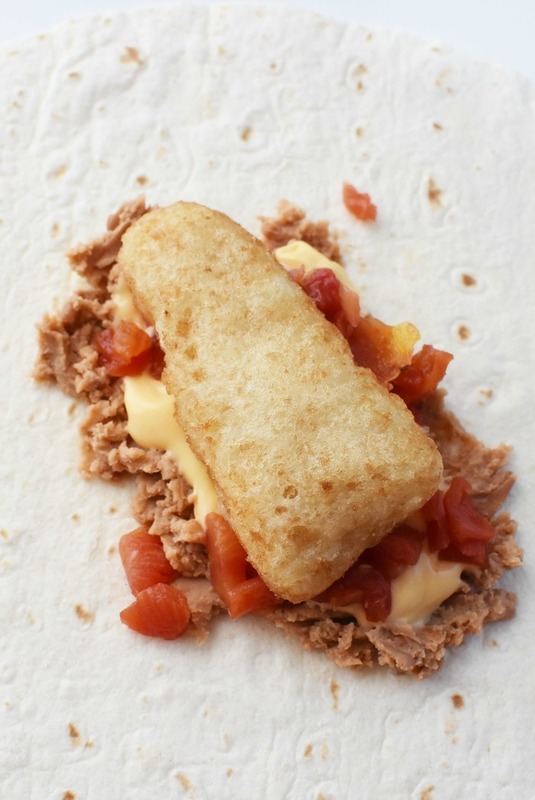 The outer flour tortilla is golden brown and crispy. Chimichangas are served with sides like Mexican rice, sour cream, guacamole, refried beans. You can also top your chimichanga with queso sauce and fresh cilantro. Since we love Gorton’s Beer Battered Fish we decided to use this classic variety. We love how flaky these pub-style filets are. They are made with wild-caught Alaskan Pollock with no fillers, preservatives, or artificial ingredients. You can find them in your grocer’s freezer in a new, resealable bag for lasting freshness. 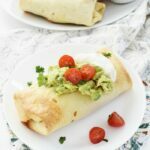 These easy to make chimichangas are brushed with melted butter, and then oven baked on a baking sheet. 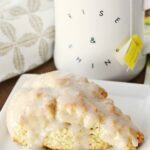 This recipe is really easy too! 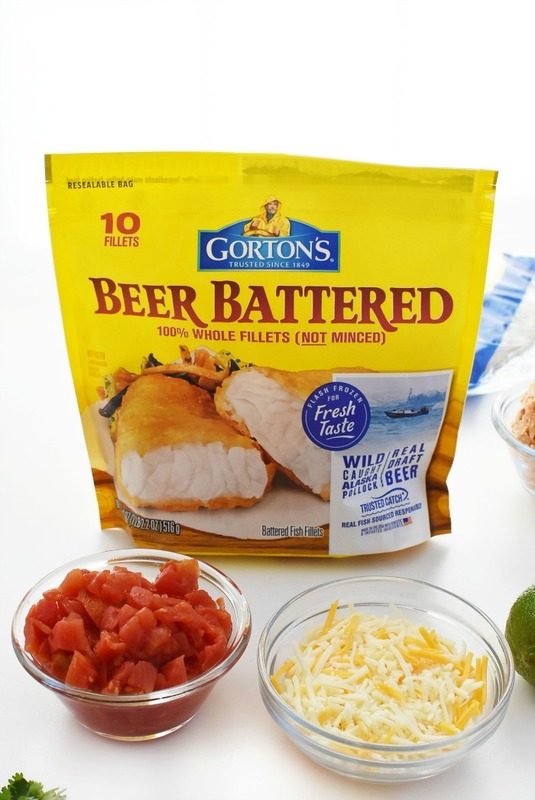 Bake Gorton’s Beer Battered Fish according to box instructions. 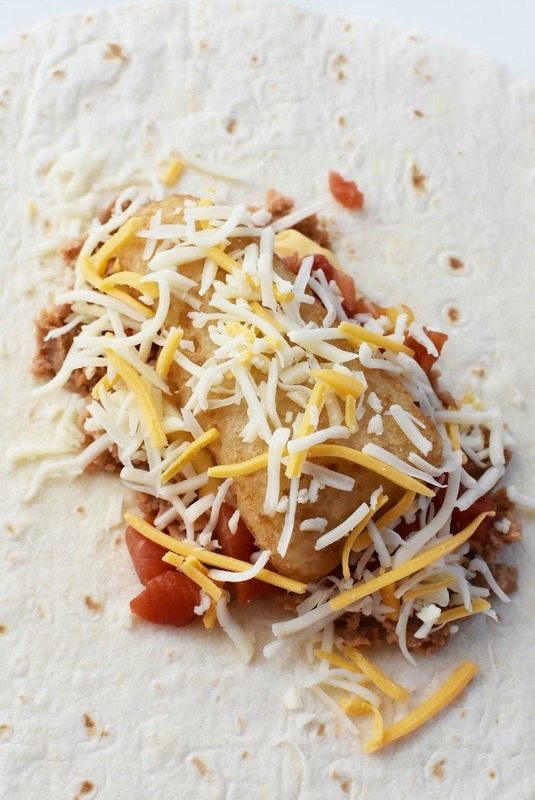 Spread a thin layer of refried beans in the center of a large flour tortilla. Add cheese sauce, fish, salsa, and top with more cheese. 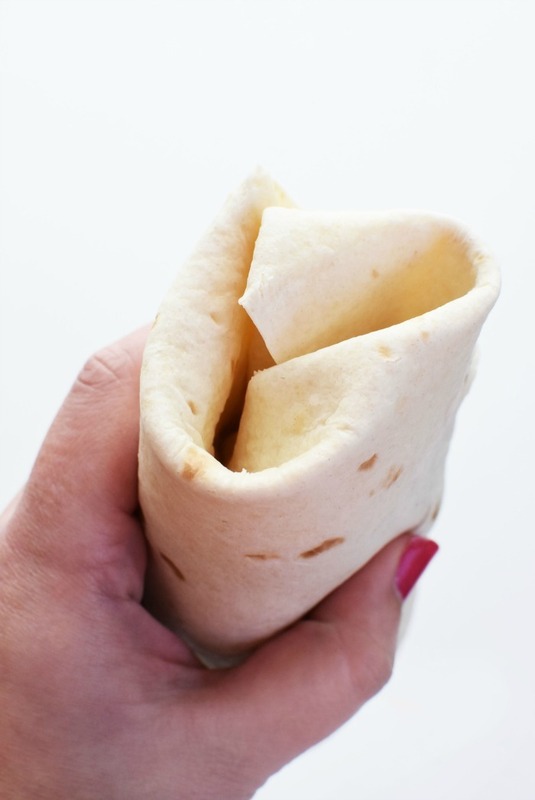 Fold in one inch of each side of the tortilla, then roll upwards towards the bottom. Make sure the fillings stay in place. Place folded side down on parchment-lined baking sheet. Brush with butter and bake at 400 for 25 minutes until golden brown. Top with guacamole, salsa, and sour cream to serve. 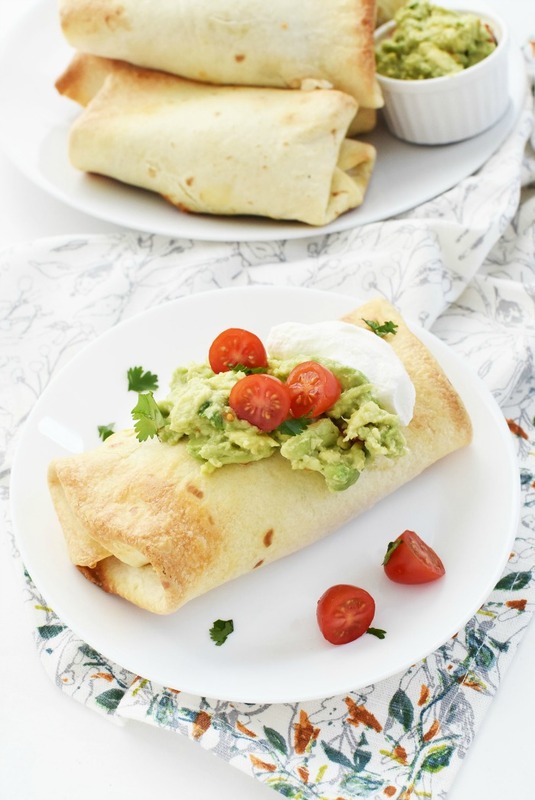 Ingredients in Baked Chimichangas with fish include refried beans, nacho cheese sauce, Mexican blend shredded cheese, sour cream, and guacamole. Want to add a fun salad to your baked chimichangas meal? This Southwestern Quinoa Salad would be a perfect addition. 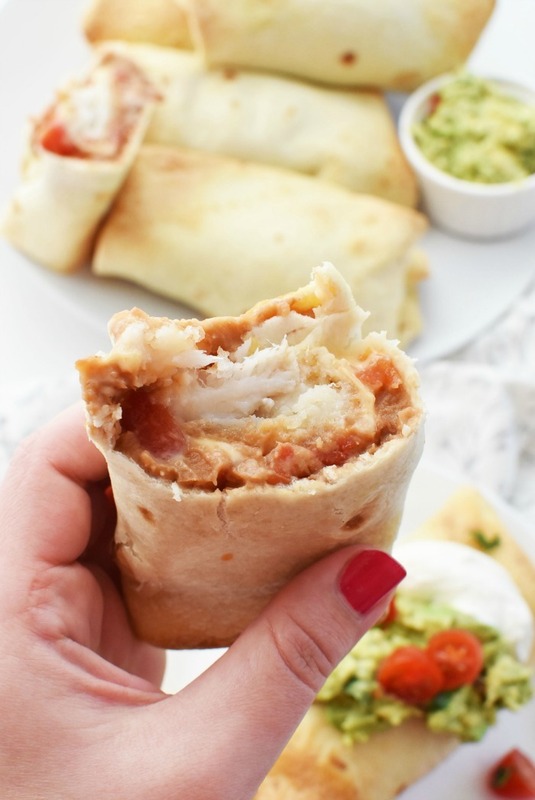 Baked chimichangas with fish is a recipe that is perfect for lunch or dinner. 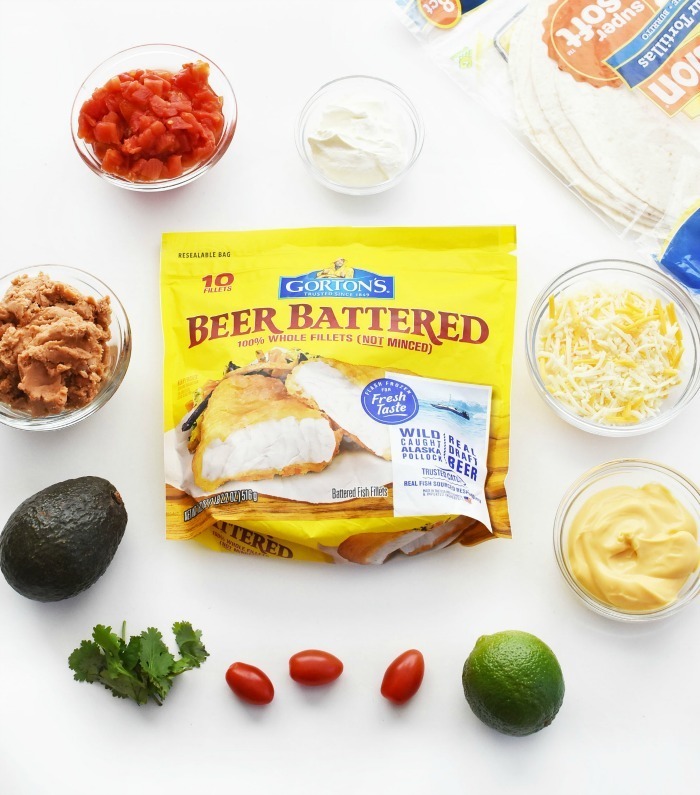 This meal features beer battered fish, beans, cheeses, & more. Cook fish according to package instructions. Spread a thin and even amount of beans in the center of each. Add an even amount of nacho cheese to each. Add one piece of cooked fish to each. Add an even amount of salsa to each. Brush each with melted butter and bake at 400 for 25 minutes. Serve with sour cream, cilantro, and guacamole. 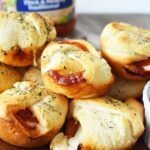 Pin this tasty recipe for later! This is the best use of Gorton’s by far! I can’t wait to make this! This may just have to happen for dinner tonight. This looks amazing and it looks so easy to make I think I’m going to make it for dinner. That sounds like an awesome lunch to me! Chimichangas are my go to Mexican meal. These make the perfect weeknight dinner. Love the short cut of the prepared fish filets. Gorton’s is the best brand ever! 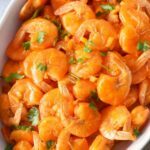 They are my go-to for anything fish related like this, I will definitely be giving your recipe idea a try. I always thought chimichangas were fried until this weekend. I ordered at a restaurant and they gave me the option of baked or fried! This looks really tasty! Can’t wait to give it a try!! I am drooling over these! These chimichangas are my kind of lunch! I should try them tomorrow! I never would have thought to try a chimichanga like this. What a fun idea to use fish. YUM! I bet the taste is flavorful! I love how easy it is to make this. I need to make this today! Can I come over for dinner? lol This recipe looks so good. I would love to try!